Los Angeles Unified School Board member Ref Rodriguez attends a meeting on Aug. 22, 2017. Ref Rodriguez’s candidacy for the Los Angeles Unified School Board was not even a day old when, in November 2014, he filed a form disclosing an investment in a private company called Better 4 You Fundraising. It wasn't the first time Rodriguez had used this standard form. Public officials in California file it to be transparent about financial interests that may conflict with their roles as public servants. Four months after he filed the paperwork for his school board run, Rodriguez filed a second version of this disclosure form — this time with PUC Schools, which he co-founded in 2004. That form was supposed to cover his 2014 finances — almost the exact same period as the previous form. This time, Rodriguez disclosed nothing about Better 4 You Fundraising. According to that form, obtained by KPCC through a public records request, Rodriguez told PUC Schools he had “no reportable interests.” Not only was there no mention of the Better 4 You Fundraising investment, there was no mention of any other income streams Rodriguez told the district about on his 2014 disclosure statement. “The discrepancy should not exist,” said Ann Ravel, a former chair of the California Fair Political Practices Commission, who reviewed Rodriguez’s forms for KPCC. It's not clear whether the omission was intentional or simply a mistake. Rodriguez, through his attorney, has previously denied any wrongdoing. In a statement, Rodriguez confirmed to KPCC he did in fact have an investment in Better 4 You Fundraising in November 2014 but declined any further comment for this story. 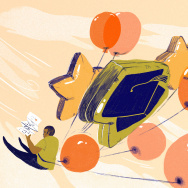 That matters because PUC Schools did business with Better 4 You Fundraising. In March and May of 2014, Rodriguez authorized $20,400 in payments from PUC Schools to Better 4 You Fundraising – payments that PUC Schools officials have alleged to California's Fair Political Practices Commission constitute a conflict of interest. Since those payments came to light, L.A. Unified regulators have been aggressively trying to get answers from PUC Schools officials. District officials want to know — as they would put it — how the charter school network failed to catch red flags about those payments. If PUC Schools fails to answer these questions to the district's satisfaction, that could open the door for L.A. Unified officials to hand down serious consequences for the charter network. In past cases involving other charters, district officials have extracted the resignations of school leaders or threatened to close their schools. 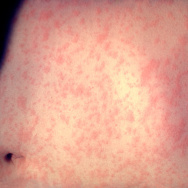 However, the district's most recent letters to PUC Schools did not mention such consequences. PUC Schools officials have maintained they had no way to know of Rodriguez's potential conflict of interest until Rodriguez's links to Better 4 You Fundraising were publicly reported by KPCC in late September 2017. 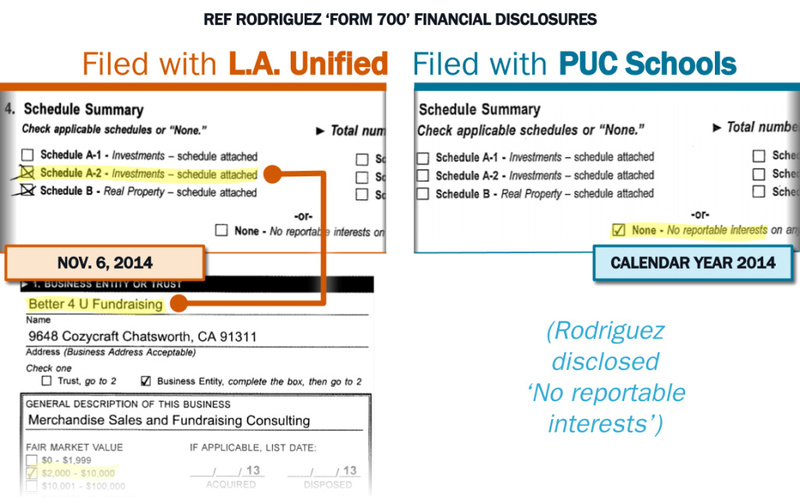 That claim appears to be supported by KPCC’s latest finding: that Rodriguez did not tell PUC Schools about his connection to Better 4 You Fundraising on his 2014 disclosure form. Public officials are required to provide accurate information on these disclosure forms under penalty of perjury. But experts said Rodriguez would likely only face minor consequences for the discrepancies between the forms. What were the 'forms' Rodriguez was filing? California law requires elected and appointed officials to file a "Form 700," which asks the official to share publicly a picture of their personal finances, at least once a year. The Form 700 asks officials to disclose their sources of outside income, investments, property interests and any other businesses they run or jobs they hold. The purpose of the form — according to the state's government ethics agency, the Fair Political Practices Commission, or "FPPC" — "is to ensure the officials are making decisions to best serve the public, and not acting in their own financial interests." 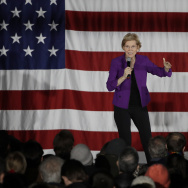 What did Rodriguez's Form 700 disclosures say? On Feb. 15, 2014, Rodriguez filed a Form 700 with the PUC Schools charter network — "PUC" is an acronym for "Partnerships to Uplift Communities" — covering calendar year 2013. Rodriguez checked the box indicating he had "no reportable interests." In March and May of 2014, Rodriguez signed two checks authorizing a total of $20,400 in payments from PUC Schools to Better 4 You Fundraising, as KPCC has previously reported. At the time, Rodriguez was on salary with PUC Schools and also serving on PUC's governing board. On Nov. 6, 2014, Rodriguez filed a Form 700 as he registered to run for the L.A. Unified School Board. Because Rodriguez was announcing his candidacy, the Fair Political Practices Commission required him to disclose any investments he had on the date the Form 700 was filed. Rodriguez listed a stake in Better 4 You Fundraising worth between $2,000 and $10,000. He reported less than $500 in income from the company. On another page, Rodriguez reported income from a rental property in Las Vegas. On March 12, 2015, Rodriguez filed a Form 700 with the PUC Schools charter network covering calendar year 2014. Rodriguez makes no mention of Better 4 You Fundraising or any of the other financial interests he reported to L.A. Unified in November. Instead, Rodriguez indicated he had "no reportable interests." On Aug. 3, 2015, after Rodriguez took office as a newly-elected board member, he filed a Form 700 with L.A. Unified covering his finances as of July 1, 2015. He did not list Better 4 You Fundraising among the various interests he disclosed. In Nov. 2014 and Aug. 2015, Rodriguez told L.A. Unified he had outside investments and income that he disclosed on his Form 700. But Rodriguez told PUC Schools in March 2015 he had no outside interests on official forms covering those same periods of time. Also: as KPCC has previously reported, Rodriguez was receiving income that he did not disclose to L.A. Unified on a Form 700 — including a portion of the $172,430 in compensation Rodriguez received from working as PUC Schools' treasurer in 2014-2015 school year, according to the charter network's tax filings. Rodriguez's forms "should be identical," said Ann Ravel, who left the FPPC in 2013 to serve on the Federal Election Commission. She now teaches at the UC Berkeley School of Law. If not identical, the interests Rodriguez listed on his two forms should at least line up. What would it mean for these forms to 'line up'? For example, said Bob Stern, it's possible Rodriguez sold off his stake in Better 4 You Fundraising sometime between Nov. 2014 and the end of the year. If that's what happened, Stern said Rodriguez "should’ve indicated that he had sold the investment" on his PUC forms, which covered all of calendar year 2014. "Some people don’t realize that and don’t put that down," said Stern, who helped draft the original state law that created the FPPC, served as the agency's general counsel and later led the Center of Governmental Studies. "It’s not a major violation if you don’t put it down — if you no longer own it," added Stern, who, like Ravel, reviewed Rodriguez's Forms 700 for KPCC. In July 2015, Rodriguez no longer claimed an ownership stake in Better 4 You Fundraising on his disclosure form. The documents do not make clear what happened to it – if he divested that stake, if he still owns it, or if there are other circumstances. Rodriguez confirmed to KPCC this week that he did, in fact, have a stake in Better 4 You Fundraising in Nov. 2014. But beyond that, Rodriguez has declined to respond to multiple KPCC questions about that investment, most recently this week. Officials in charter schools — publicly-funded, but run by private entities — are also required to file Forms 700. L.A. Unified regulations give the head of each charter school some discretion to decide how much their employees must disclose. However, a spokesperson said PUC Schools "does not have any code or policy exempting any employees from completing" any part of the Form 700. What are the consequences for a mistake on a Form 700? Stern said if an enforcing official were to catch the discrepancies on Rodriguez's Form 700 disclosures, Rodriguez would likely be asked to file an amendment to his earlier form. Technically speaking, Rodriguez could face a fine or even a criminal charge if the discrepancy is the result of more than a mistake. But enforcing agencies are "not going to file a misdemeanor action or even an enforcement action against somebody who failed to report the fact that they got rid of property," said Stern. "Nobody does that." "But," Stern added, "they do file actions if you have conflicts of interest." Rodriguez has bigger problems than the discrepancies on this form, experts said. In September, prosecutors filed felony charges against Rodriguez and his cousin for allegedly funneling nearly $26,000 of Rodriguez's own money into the coffers of his 2015 campaign and then filing false campaign forms to mask the true source of the money. Rodriguez has pleaded not guilty to those charges. Rodriguez did face a formal conflict of interest complaint last October — filed by PUC Schools. At the time, his attorney denied any wrongdoing by his client connected to the complaint. In that complaint, PUC Schools officials said they had unearthed evidence that Rodriguez might have been using charter school funds for his personal benefit. They found Rodriguez had authorized more than $285,000 in payments from PUC to two outside firms to which Rodriguez also had ties. Part of that total sum: the aforementioned $20,400 paid out to Better 4 You Fundraising. "Clearly, it’s the conflict of interest that’s the more important question," said Stern, "as opposed to what you put on your [Form 700]. But if you don’t put something on your form, it gives them an opportunity to say you violated the law." If Rodriguez likely won't face consequences, why do the discrepancies on these Forms 700 matter? Hanging over the entire story is a question: was anyone supposed to voice concerns about Rodriguez's alleged conflicts of interest? PUC Schools leaders? L.A. Unified officials? If not them, whom? Since October, L.A. Unified officials have said PUC Schools leaders are responsible for letting problematic transactions go unnoticed for so long. In a series of stern warning letters called "Notices to Cure," district officials contended that as far back as 2015, L.A. Unified officials raised questions about some of the transactions that, they said, later ended up as part of the conflict of interest complaint against Rodriguez. Officials in the district's Charter Schools Division have contended their questions years ago should've prompted the school to investigate the transactions back then, but that PUC officials obviously have failed to do so. "PUC continues to deny any responsibility for neglecting to uncover the conflict of interest problems regarding Better For You Fundraising," district officials told the charter school in a Feb. 7 letter, obtained by KPCC via a public records request. "PUC's assertion here is troubling, and suggests a serious lack of capacity to ensure sound ongoing operations." But PUC Schools officials disagree. In a Nov. 2017 letter, PUC officials told the district that "only Dr. Rodriguez can shed light on … where this money went." In their letter, PUC Schools listed several factors that made Rodriguez's problematic transactions hard to find. For instance, they said Rodriguez signed the checks in question out of the accounts of several different schools, used fellow co-founder Jacqueline Elliot's signature stamp without her approval and took steps that would have the effect of delaying the public reporting of these transactions. PUC Schools' letter also said officials were "unaware" of Rodriguez's ties to Better 4 You Fundraising until KPCC published a story about it last September — after all, it wasn't on his Forms 700. 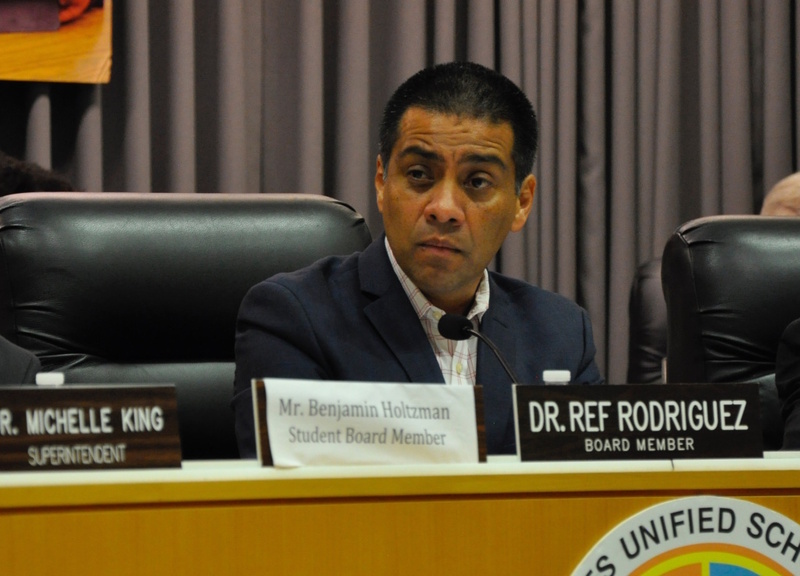 By the time district officials asked about the Better 4 You Fundraising transactions, PUC Schools officials said Rodriguez had stepped down from the organization to take a new office: L.A. Unified school board member. The criminal charges and the conflict-of-interest allegations have hampered, but not ended, Rodriguez's term on the L.A. Unified board. Though Rodriguez gave up the role of board president in September, he remains on the seven-member body, which governs the nation's second-largest school district. The board is currently in the final stages of selecting a new permanent superintendent. Should Rodriguez's transactions have raised red flags — and if so, did someone miss them? Ravel said it's not reasonable to expect an agency to investigate the veracity of every claim on a Form 700. "You take at face value what they have on their forms," she said. "To be alarmed about something," Ravel added, "there has to be something that has arisen that would give you that clue." L.A. Unified officials have contended they had given PUC Schools those clues in 2015 and 2016 — when they raised questions about those transactions. On Monday, a PUC Schools spokesperson declined to comment on Rodriguez's Forms 700. PUC Schools has faced questions over conflicts of interest before. 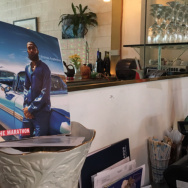 In May 2015, the district opened an investigation after the L.A. Times reported that PUC Schools had issued a food service contract worth at least $2 million to a firm owned by PUC's then-business director. Since then, though, PUC Schools officials have said it has reformed. The charter network has updated its conflicts of interest policy twice — according to their Nov. 2017 letter and PUC board agendas — and sought guidance from the state's Department of Education on its contract procurement procedures. Incidentally, the name of that food service firm that got PUC into hot water in 2015? The firm was Better 4 You Foods. As KPCC has previously reported, the company’s similarities to Better 4 You Fundraising went beyond the names. A review of corporate filings for each company found some of the same people listed.